Saluting our dear friend, Slobodan Zelich, on the oaccasion of his well-deserved Retirement. Sve Nabolje! All the best to you! We will never forget how you watered our souls with your motivational, spiritual cantata "Kosovo Bozuri" bouquet, a personal gift from your heart celebrating the 600th Anniversary of the Battle of Kosovo in 1989. Forever we will recall how you made our minds march in step and our Serbian hearts beat with pride, with your patriotic and rousing arrangements of "Za Krst Casni i Slobodu Zlatnu!" Steubenville, OH—Slobodan Zelich, well-known composer and arranger of Serbian liturgical and folk music, passed away here on February 5, 2013 at age 88. He was the long-time director of Holy Resurrection Serbian Orthodox Church of Steubenville’s SSS Petar Krstich Choir and an honoree of the Serbian Singing Federation. Mr. Zelich was born in Zegar and raised in Sibenik, Dalmatia, the son of the late Prota Pavle and Protinica Milica (Sekulich) Zelich. During World War II he survived imprisonment at the hands of the Italian occupiers, and after his release joined the ranks of the Royalist Chetniks of the Dinara Division under the command of Vojvoda Momcilo Djujic, protecting the Serbs of the Tromedja of Dalmatia-Lika-Bosna from both the Croatian Fascist Ustahi and Tito’s Communists. At the conclusion of the war the survivors of the Dinara Division were able to fight their way through to Italy, where they were interned in displaced persons camps. He later was transferred to a refugee camp in Germany, where he married Nevenka Torbica, who had accompanied the Chetniks out of Yugoslavia. When Slobodan’s Father Prota Pavle assumed the pastorship of Holy Resurrection Serbian Orthodox Church in Steubenville in 1947, Slobodan and his wife moved to Steubenville and began their family. During and after the war, Slobodan had been active in choral music with the Chetniks, and he continued with this interest in his new home. He organized a junior choir at the church, many of whose members went on to join the Petar Krstich Choir, which he directed from 1961 until his retirement in 2008. He instilled a strong sense of Serbian ethnic pride and identity in his singers, both young and old, with a genuine love for Serbian Orthodox Liturgical music, as well as his folk and patriotic music. Slobodan ended his career with his 100th composition entitled “Sonja.” The Petar Krstich Choir traveled throughout the U.S. and Canada, establishing a reputation as one of the finest choirs in the Serbian Singing Federation. Slobodan won numerous honors and awards within the Serbian Singing Federation. Many of his compositions and arrangements are used by choirs throughout the SSF. He also arranged the Divine Liturgy in English using Serbian melodies in memory of his son, and much choral music in Serbian, Slavonic and English for the major feast days. He insisted that the first and foremost purpose of the Choir was to sing responses in church, and that the choir be present from the first “Amen” to the very end. The Petar Krstich Choir under his direction, and his beautiful tenor voice, did much to enhance the worship services of the Steubenville Serbian Orthodox community. Mr. Zelich was preceded in death by his parents, two sons Milan and George, and a brother Milan. He is survived by his beloved wife Nevenka, son Paul and daughter Sonja (Clyde) DiAngelo, two grandchildren and two great-grandchildren, two sisters and many nieces and nephews. RESPECT. I felt it as soon as I began to climb the steps of Holy Resurrection Serbian Orthodox Church on the corner of North 4th Street, in Steubenville, OH to attend the funeral of our beloved Serbian composer, +Slobodan Zelich. How Slobodan’s father, V. Rev. Paul Zelich, was at one time, the spiritual leader of this church, and the one tasked with helping Steubenville’s faithful garner the funds to build it in 1947. How he must have always stepped up to help the serving clergy. How he felt when he first stepped up to become a singer in the choir loft. 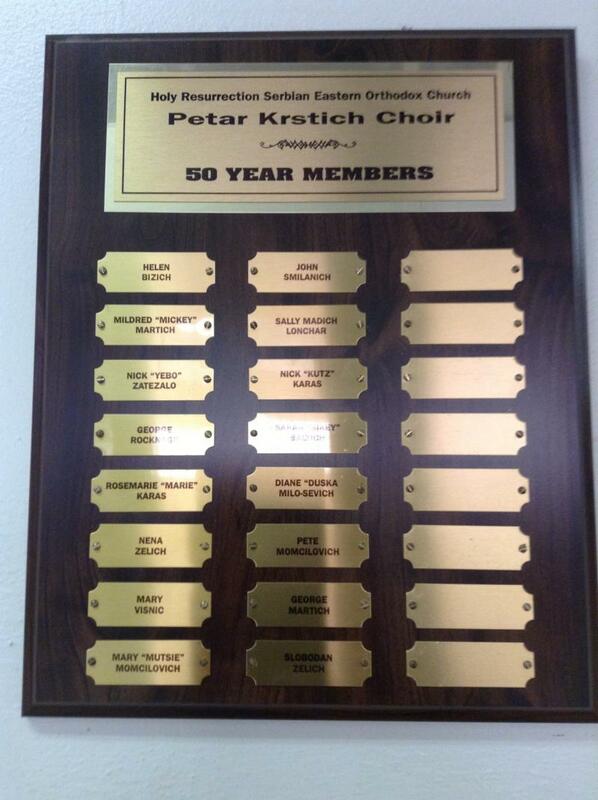 How he must have studied before stepping up to serve as SSF Petar Krstich Choir’s beloved director from 1961-2008. And then, the mixed feelings he must have had, stepping out of the spotlight by handing the baton over to his chosen one, replacement Nino Karas. Upon making my last step up, I was able to see that Slobodan had made one last step, this time, lying in state in front of the altar of the church he was so proud to be a part of. Dushka Milo, Slobodan's sister, who traveled with her father and brother over the hills and mountains to freedom following Vojvoda Momchilo Djurich during WWII. Dusha remembers how the Chetnik soldiers went in front of them and behind the large contingent of thousands of refugees, to protect them. Dushka sang the solo part of Majka Jugovica at the Kosovo Detroit 1989 celebration. She said she knew Slobodan was pleased with her singing because he really smiled at her and she felt so proud to be able to do it, especially just returning home from Kosovo for the 600th Anniversary of the Battle of Kosovo in June, 1989. "All those memories were in my heart as I sang," she said. “Mim, do you remember the wonderful time we all had singing throughout Serbia in 1989 for the 600th Anniversary of the Battle of Kosovo, and how Slobodan asked me, of all people, to sing the solo for our Kosovo Detroit concert in 1989?” her face belying her 89 years! Indeed, who could forget either of those momentous, historical events and our connectivity to each other? Ask anyone who was there. Traveling to Kosovo in 1989 was almost like now having blood-brother, pobratim, Kumstvo ties. Slobodan’s wife, another Serbian beauty, Nevenka (“Nena”), was composed and thoughtful, kindly finding a memory to relate to everyone as they passed by and expressed condolences. Slobodan’s family, led by son Paul and daughter Sonja and children, grandchildren and great-grandchildren, many nieces and nephews, filled the first four rows, and the rest of the church was full of mourners from all over the USA. RESPECT. I sat besides Dr. Natalie Pavlovich, who despite needing a walker, made sure she was in attendance. John and Joanne Wuchenich, and others from Pittsburgh’s Holy Trinity Cathedral came out of respect. Behind me was Mark Zatezalo and his beautiful daughter, Jennifer. We spoke quietly before the services started about the 50th Anniversary of the Steubenville Church and the impact Slobodan made that day, and also, how much fun it was to gather to honor Slobodan for his many contributions to the Serbian people just a few years ago in the same hall where his dacha (mercy dinner) would be held later in the Weirton Serbian Cultural Center. RESPECT. More and more people continued to enter the church and I wasn’t surprised at all to see Rick and Mary Zivic from Cleveland, in attendance. Wife Mary had been in Canada, visiting her mother, and Rick was supposed to join them for the weekend, but the tables were turned. They knew what they had to do. Each person present wanted Slobodan’s family to know just how very much he was respected, appreciated and loved. RESPECT. Four priests served the funeral service. Joining V.Rev. Stavrophor Rade Merick from Steubenville’s Holy Resurrection church were V. Rev. Stavrophor Stevan Stepanov from Aliquippa’s St. Elijah, V. Rev. Stavrophor Dragoljub Malich from Monroeville’s St. Nicholas, and V. Rev. Stavrophor Stevo Rocknage, from the St. Sava parish in Monroeville. The night before, retired Cleveland priest V. Rev. Stavrophor Vasilije Sokolovic and his family were there for the Pomen services. Fr. Merick, in his heart-wrenching eulogy to Slobodan and his innumerable good deeds, mentioned also how His Grace, Bishop Dr. Mitrophan had sent his sincerest sympathies, and was so sorry he couldn’t attend as Slobodan deserved it, but he had made a commitment to be in New York’s St. Sava Cathedral for an Opening Exhibit from Monastery Hilandar. Fr. Rocknage shared warm memories as a child and teen-ager, growing up in the Steubenville church, and how proud Slobodan always made them feel. Fr. Malich recalled the wonderful times had when Steubenville Choir was guest choir for Monroeville’s parish concerts and the excitement felt by all. RESPECT. A full-house Petar Krstich Steubenville choir, augmented with some out-of-town singers, sang responses, both in old Slavonic and English. How often it was mentioned by many speakers, afterwards, how appreciative Fr. Merick and the Choir were to have had Slobodan Zelich translate the traditional Serbian responses into English, to be among the 100 compositions he had created! Slobodan’s repertoire contained not only Serbian Orthodox Liturgical selections (with English translations also! ), but folk and patriotic music as well, which stirred the hearts of all in attendance whenever his choir performed. Slobodan was benevolent and productive, using all of his God-given talents so wisely. His singers had an ethnic identity. They KNEW who they were and what they represented. Only the best. Indeed, as each speaker talked about Slobodan’s love and admonishments, you couldn’t help feel yourself sitting up a little bit straighter and prouder in your seat, whether in church or at the hall for the mercy dinner. Slobodan believed. Slobodan chose Christ, and was able to bear much fruit. The six people who spoke of his incredible contributions at the Mercy dinner were: Milan Vuchenich on behalf of the family; Mary Lynn Pavokovich Ricci, president of the Petar Krstich choir; Mary Zivic, SSF Board member; John Martich, SNF Board Member and representing Slobodan’s Lodges #22 and #78; Nino Karas, Petar Krstich Choir Director, and Bob Zori, Church President. 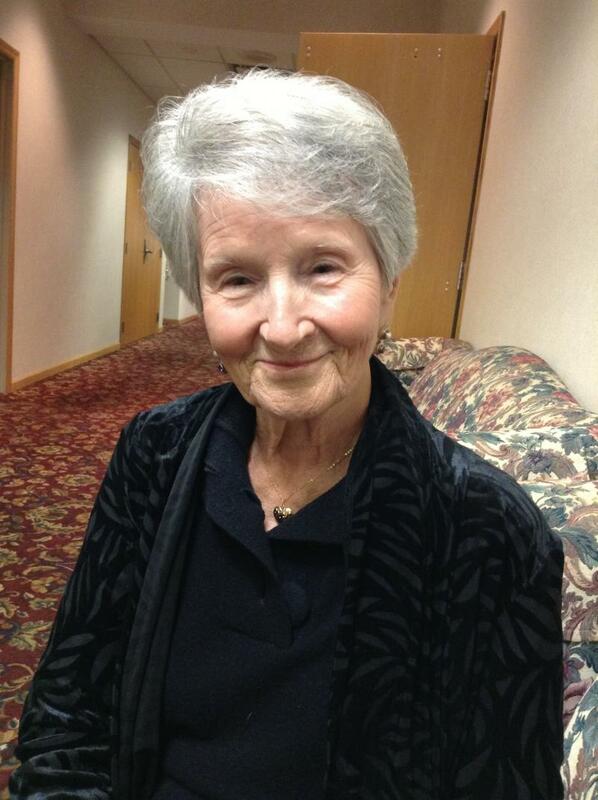 Mary Lynn Ricci lamented: “The Serbian Singing Federation and all Serbian singers on the North American continent have indeed lost a tremendous choir director, composer and arranger. 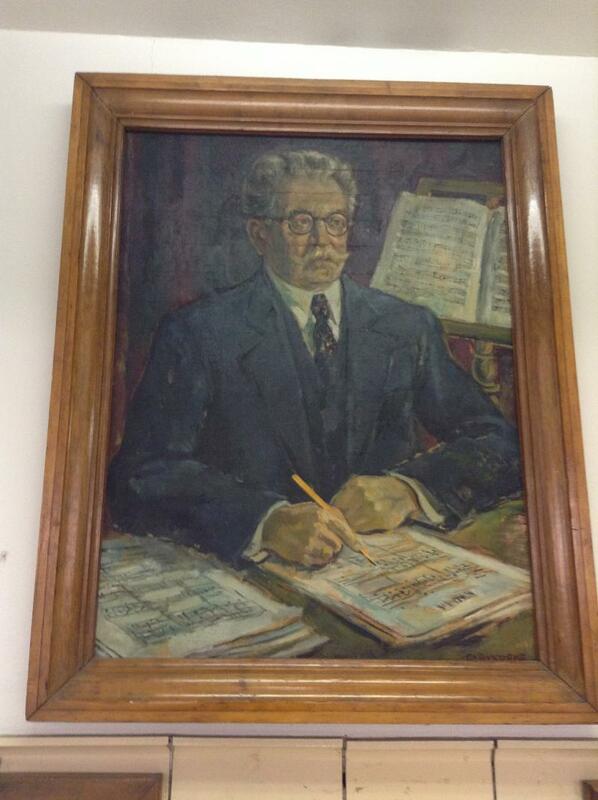 His contribution to Serbian choral music on this continent was astonishing. He is indeed a legend among SSF choir directors and I was fortunate to be able to call Slobodan a friend. “Husband, Father, Father-in-law, Brother, Grandfather, Great Grandfather, Kum, Friend, Neighbor and Mentor are words that describes this man who has touched so many people throughout the Serbian Communities. +Slobodan leaves us with a physical void, but even as we take leave of our friend today, we are joyful that his music will live on with us and all future Serbian singers. “My first meeting of Slobodan was in junior choir. At my first practice, he placed me from the back row to the front row and said, “Sing loud and sing with your heart. Show how proud you are to be Serbian Orthodox." That’s when I fell in love with singing. “I’ve witnessed him composing music sitting on the beach or during a sunset while on vacation in Naples, Florida which he loved doing and then, his first Tuesday back, he was teaching these new songs to his choir. We rarely sang a song twice, as Slobodan believed in singing a new song for festivals. That’s why there are 100 musical compositions in our choir room with his name on them. “Slobodan we will feel your presents with us in the choir loft, on stage and even standing at the bar singing. You have taught us that he who sings prays twice. Mary Zivic, trying to hold back the tears in her eyes of the big loss felt in her heart, represented the Executive Board of the Serbian Singing Federation of the US and Canada. “+Slobodan’s contribution to the Petar Krstich Serbian Choir of Steubenville will not soon be matched, nor will it be forgotten. This in turn made him a gem in the world of SSF singers. He was an amazing man, director and arranger who represented his choir, his church, and his family with grace and dignity. Those of us fortunate enough to have known him, shall keep his memory close always. “+Slobodan’s arrangements memorializing the trials and tribulations of his generation of displaced Serbs, and his never-ending pride and loyalty to his beloved Chetniks will always remain a part of his legacy and will be immortalized with the continued performances of his pieces. John Martich began by saying what a challenge it was to summarize Slobodan’s lifelong contributions to our Holy Church, but how evident it really was in the Pomen and Funeral services conducted for him. Morever, he added, his own favorite memory of Slobodan’s was when the Petar Krstich Choir was asked to sing for the closing of the SNF’s 90th anniversary. “True to his style,” John related, “Slobodan dutifully prepared for months in anticipation of the big event. He chose the difficult Cantata of the renowned Serbian composer, Ljubomir Bosnjakovic, ‘Albanska Glogota.’ As if directing this were not enough, Slobodan also composed the music for an orchestral accompaniment performed by many young Serbian musicians from throughout the Pittsburgh area. The audience sat spellbound as the choir and orchestra together gave a flawless performance. Having been a member of the choir at the time, I recall Slobodan placing his hand on his heart several times during the song, and each time, looking up as us and smiling. We didn’t need him to tell us how well we were doing. We saw it in his eyes and in his smile. The standing ovation and the tears flowing from an appreciative audience proved it was one of the choir’s greatest moments under Slobodan’s direction. As a side note, we remember the opening tenor solo masterfully performed by our friend and parish priest the time, Proto Vasilije Sokolovic. Vjecnaja pamjat. One last respect. I remember how last September, 2012, Omaha was the guest choir of our host Aliquippa. Under the direction of Tom Olsen, the Omaha singers proudly ended their selections with the invigorating “Vesela je Srbadija,” (All of Serbia is happy!) arrangement by the immortal Slobodan Zelich of Steubenville, Ohio! Stepping Up! Producing! Knowing Slobodan met the criterion for entry into Heaven, its fun to imagine the welcome he will receive from all past +SSF members. He’ll soon be busy, creating Arrangement 101, and helping to direct all of those wonderful SSF choir members who have since gone on to their Heavenly rewards: Nick and Bob Stone, the Popovich Brothers, Helen Bizich, Milan and Dara Tomich, John Tomich, Martha Belosh, Kay Begovic, Mary Beaver, Monty Popovich,……. the list is endless. Like Slobodan’s good deeds! Vjecnaja Pamjat! May he be endowed with paradise and eternal blessedness and may his memory be eternal! He surely earned our heartfelt RESPECT. Slobodan's last trip to his beloved Holy Resurrection Church before his final internment. Friends came from far and wide to pay their sincerest respects to him and his family. Four priests served in the altar. Here, people are passing by for the "Last Kiss." Three of the four priests present gave stirring Eulogies: V. Rev. Rade Merick, V. Rev. Stevo Rocknage, and here, V. Rev. Fr. Malich of Monroeville's St. Nicholas Serbian Orthodox Church speaks about Slobodan's great deeds, especially how his Holy Resurrection Petar Krstich Serbian Orthodox Choir always answered the call to perform freely at the SERBIAN RELIEF CONCERTS held in Monroeville, PA.
Mourners pouring out of church at Slobodan's funeral in Steubenville, Ohio. There were more than 35 cars that went to the cemetery, many others going directly to the Serbian Cultural Center hall on Collier's Way, in Weirton, West Virginia, for the dacha. “Slobodan joined the organized guerrilla fighters known as the Chetniks, detachments of the Yugoslav Army, led by Gen. Draza Mihailovic, who, as royalists, fought to preserve the crown of young King Peter II of Yugoslavia. The Chetniks battled the communist Partisans of Josip Broz Tito, as well as the fascist Ustase, allied to Nazi Germany. Near the end of the war, Vojvoda (Chief) Momcilo Djujic, sensing all was lost, marched his Dinara Division, to which Slobodan belonged, out of Yugoslavia, fighting his way with his men over snowbound mountains, leading a mixed body of 20,000 combatants and civilians, a long line of humanity, stretching for miles, girded by soldiers to the front, rear, and flanks. Slobodan and his future wife, Nevenka, possessing only what they were wearing and what they could carry, trudged through deep snow for hundreds of miles, eventually transiting the Istrian peninsula to the relative safety of Italy, where they spent time in displaced persons camps, then on to refugee camps in Germany, where they were married in Diepolz in 1947. Beautiful oil painting of Serbian Composer, Petar Krstich, from the Holy Resurrection Church Hall in Steubenville, Ohio. "The P.K. Choir was formed in 1943 as the Mirjana Choir of Holy Resurrection, and their first appearance was in 1946. That same year, the choir took the name of the prominent Serbian composer and director, Petar Krstich. In 1948 the choir was officially brought into the Serbian Singing Federation by the Exec. Secretary, Vlajko Lugonja, with the St. Elijah SSF Church Choir as sponsor! at the request of the Serbian Orthodox Church in the United States and Canada, the Movement of Serbian Chetniks “Ravna Gora,” the Serb National Defense of Canada, and the Serb National Federation. The Choir, however, is first and foremost a church liturgical choir, singing the responses in both Church Slavonic and in English faithfully at the Divine Liturgy and many other services in their home parish. 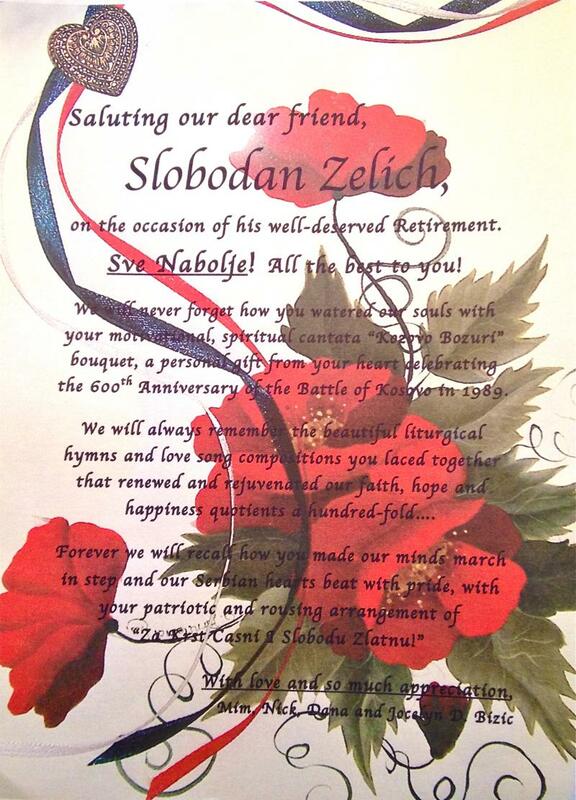 Slobodan did so much to keep the Serbian heritage and traditions alive, we are all grateful for his service on earth! of Orthodox Hymns and Serbian Folk Music, which is available in both cassette and CD format.﻿"
I don't know how the "Songs of the Serbian People" could have been improved upon! The singers sang with their whole beings...hearts pounding. Much of that has to be due to Slobodan's great teaching and directing! Valley in the 1890’s. These immigrants came chiefly from what was then the Austro-Hungarian Empire, and what are now the areas of Croatia and Bosnia-Hercegovina." steel mills and coal mines. of the Resurrection of Christ with great joy in November of that year.﻿"
Mary Visnic, Mildred Dojonovic, Duska Milo, Helen Bizich, Nevenka Zelich, Mildred Stepanovich, Sarah Baltich, Sally Madich, Mickey Martich, Ann Bruich, Babe Vuckovich, Mickee Vaughn, Mary Momcilovich..
Sophie Divich, Mimi Ostovich, Lil Porec, Lydia Milo, Marsha Momcilovich, Dawn Baltich Marie Karas, Lil Zellar, Sonja Zelich, Nada Marovich, Dorothy Yujevic, Barbara Rocknage, Mika Rocknage. Nino Karas, Robert Suka, Nikola Vuchenich, Bert Dojonovic, Milan Suka, Nick Karas, John Smiljsnich, Jimmy Musulin, Bob Zori, Stevo Rocknage, John Kosanovich, Pete Momcilovoch, Milan Vuchenich, George Martich.